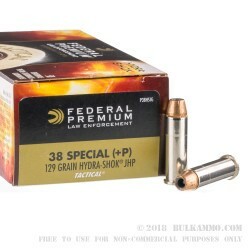 This law enforcement quality .38 Special ammo is Federal’s take on the classic cartridge used by police for the better part of the 20th century. Perfect for your CC revolver, these .38 Special +P cartridges are equipped with 129gr jacketed hollow point (JHP) Hydra-Shok bullets with center posts. Hydra-Shok JHP are fine self-protection projectiles because of the combination of high energy transfer, deep penetration, and wide, predictable expansion. These American-made cartridges are loaded into nickel-plated brass casings with clean-burning powders and Federal primers. 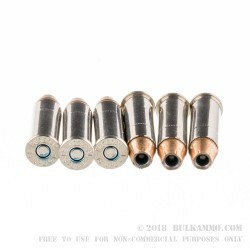 The casings are Boxer-primed and reloadable, and the smooth, non-corrosive nickel-plated brass helps these .38 Special cartridges perform flawlessly in the chamber, so you can worry about the threat in front of you and not about the functioning of your firearm. Federal Premium ammunition is produced in Anoka, MN and assembled using premium in-house components. 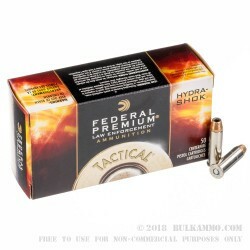 Order your 1000-round bulk case of this .38 Special LE ammo by Federal today! 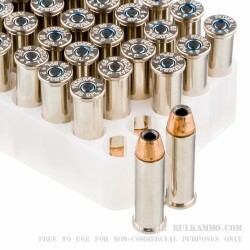 Note* This is +P ammo and should not be loaded into firearms chambered for standard pressure ammo. Always check with your firearm manufacturer before firing ammo loaded to above standard pressures.